The leader of the Prosperous Armenia Party (PAP) announced today that his party will not be entering a coalition with the dominant ruling party, the Republican Party of Armenia (RPA). The announcement by tycoon Gagik Tsarukyan ends speculation that began since the May 6 parliamentary elections that put RPA in full control of the parliament and holding all the profiles for establishing Armenia’s next government. “As a result of parliamentary elections, Prosperous Armenia Party has received nearly half a million votes. These people voted for PAP, trusting us and demanding real, visible changes in the socio-economic life. As a result of the elections PAP does not have a constitutional possibility to form the government and to implement its programs. Based on the above, I officially declare that it is not advisable for Prosperous Armenia Party to participate in the formation of a coalition government,” Tsarukyan’s statement reads. Tsarukyan’s decision proves wrong information reported in Thursday’s oppositional press in which it was stated that PAP would join the RPA-Orinants Yerkir coalition. “I promise that our deputies will always stay close to the people, by all possible means will defend the rights and interests of our citizens,” PAP leader’s statement reads. 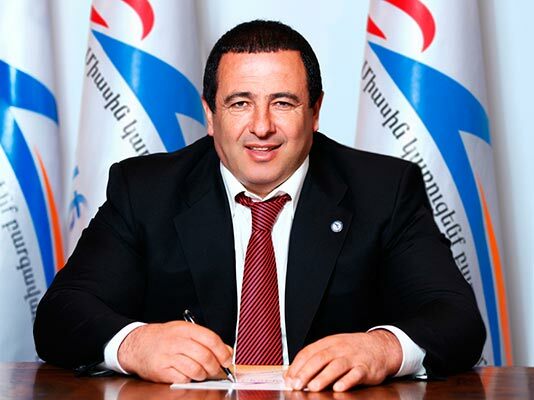 Tsarukyan’s statement gives many political analysts a ground to conclude that at the presidential elections in February PAP will have its own candidate. Tsarukyan has avoided saying whether he would support Serzh Sargsyan’s candidacy in February 2013, answering questions referring to the issue by his favorite statement: “You will learn about it at the next lesson.” Meanwhile RPA members have repeatedly stated that if a coalition is formed then its partners must support Sargsyan’s candidacy at the presidential elections. Today’s announcement opens the door for speculation on whether former president Robert Kocharyan – considered the “godfather” of PAP – will contest for president, as well as what role former Minister of Foreign Affairs Vartan Oskanian, who recently joined PAP will hold in the campaign that unofficially begins with today’s statement by Tsarukyan.